You understand first-hand the benefits of gardening. The most obvious benefit is the simple enjoyment of creating something by hand. For people that do not regularly exercise gardening gets the body moving and it strengthens the cardiovascular system, engages muscles, and makes the body more flexible. Since most spring gardens are outside, vitamin D from the sun boosts immunity as the skin soaks up the sun’s rays. Gardener’s skin is also exposed to healthy bacteria and microbes from the soil, again boosting immunity. Unfortunately, as your body ages, gardening can increase aches from arthritis in your knees and hands which in turn can hinder your gardening efforts. There is good news though. You can still garden if you decide to take advantage of some of the following tips and tools to avoid pain and injury when tending to your plants. Buy gardening tools with bigger handles. This is a simple fix. As arthritis attacks your grip strength, using hand shovels with bigger handles could give you relief and dexterity to plant your vegetables and flowers. Try using the electronic version. In place of using hand-held manual shears to prune and trim, switch to an electric pair so you don’t have to go through the repetitive motion of cutting through tough brush. However, there is one word of warning, be aware of the amount of vibrations the electric tools create. The vibrations might actually exacerbate your arthritic pain, instead of easing it. Don’t be shy. Yes, it might hurt your ego, but asking for a little help might do the trick. Lifting heavy bags of dirt or seed requires grip and mobility. There is nothing wrong with a bit of assistance moving heavy items. It is important to keep in mind that we are not indestructible and everyone ages, there is no need for you to work through the pain. You can always bring your garden up a level. 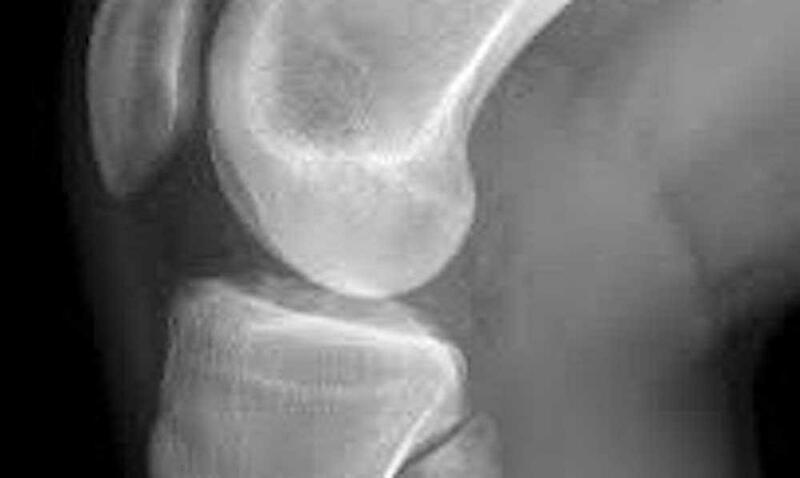 Bending over can cause havoc on joints, and typically gardening is done at ground level. One way to work around this issue, is to raise your vegetable or flower bed. In fact, some gardeners swear that they get better crops by using raised beds. Be sure to take a knee. Using knee pads is a great tool when gardening for people with and without joint pain from arthritis. Taking advantage of cushioned kneeling pads will soften the impact on your joints while you work on your garden. There are even benches for sale that incorporate knee pads so you can move easily from sitting to kneeling if you need to. 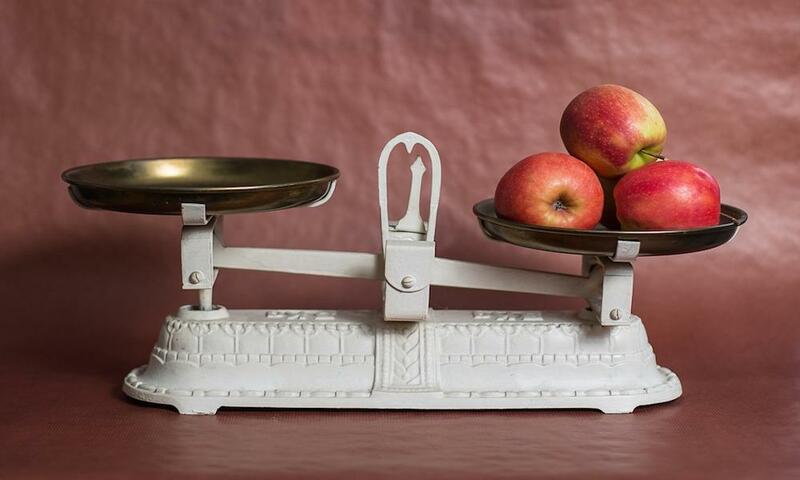 Before you decide on gardening with arthritis it is important to assess your own body. Listen to what it is telling you and be realistic with what your limits are. You always want to have a sense of what you can and can’t do, regardless of your age or fitness level. 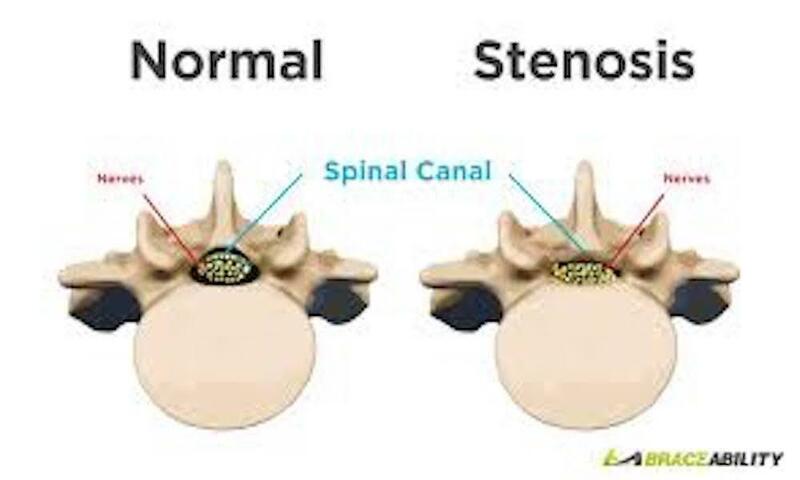 Be sure to talk to your doctor, your physical therapist, or chiropractor, and follow their recommendations. 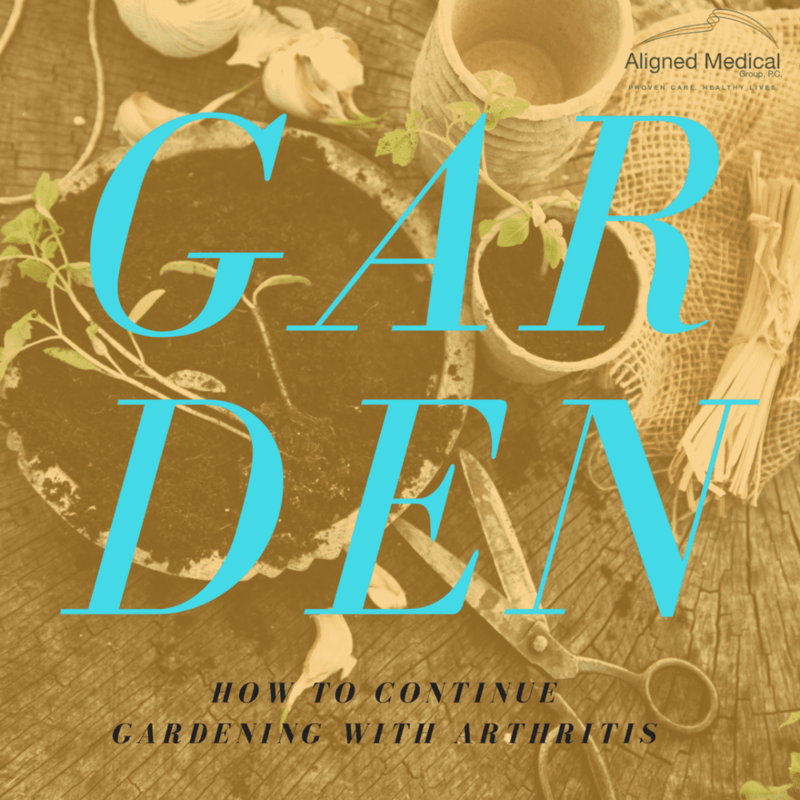 When you are taking into consideration the type of gardening activities you want to do, the joints are affected by arthritis, and what your physical limitations are, visit Aligned Medical Group, P.C. One of their specialists can help you modify activities, ease pain, or adjust medicines so that gardening is more feasible and enjoyable.